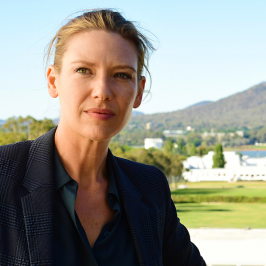 Secret City: Under the Eagle, the second instalment of the critically acclaimed high stakes political thriller returns, with all six episodes released to stream on Foxtel from Monday March 4 at 8.30pm AEDT and also available to screen each week on FOX SHOWCASE. Anna Torv (Fringe, Mindhunter) reprises her Logie Award winning role as Harriet Dunkley and once again joins two-time Academy Award nominee Jacki Weaver (Animal Kingdom, Silver Linings Playbook) to lead an outstanding ensemble cast, for the series filmed in Parliament House and locations across Canberra and Sydney. 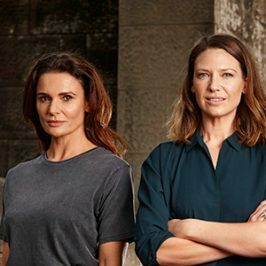 Adding to the stellar cast line-up are Logie Award winning actors Danielle Cormack (Wentworth, Rake, Underbelly Razor) who plays maverick Independent MP Karen Kotoufides, Don Hany (Ali’s Wedding, Tangle) who plays Australian Prime Minister Ewan Garrity and Rob Collins (The Wrong Girl, Cleverman) who plays Lieutenant Joseph Sullivan. The impressive line-up also includes Laura Gordon (Hoges, Hunters), veteran actor Andrew MacFarlane (Glitch, Devil’s Playground), Justin Smith (Devil’s Playground, Deadline Gallipoli), Joel Tobeck (Lord of The Rings, The Doctor Blake Mysteries), Louisa Mignone (Rake, Ms Fisher’s Modern Murder Mysteries), Marcus Graham (Janet King, Crownies) and Sacha Horler (The Dressmaker, The Kettering Incident) amongst others. 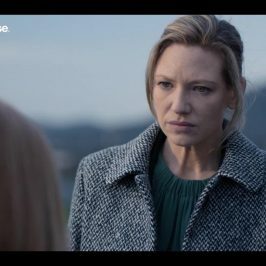 Secret City: Under the Eagle picks up with Harriet Dunkley (Torv), not long out of prison and unwittingly ensnared in a military and political cover-up with Catriona Bailey’s (Weaver) fingerprints all over it. Harriet’s search for the truth leads her back into Canberra’s corridors of power, this time working for a maverick Independent MP (Cormack). 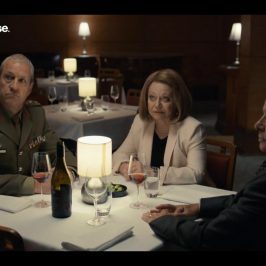 What she unearths is a military program so secret not even the Prime Minister (Hany) is aware of it and begs the question of who is really running the country? 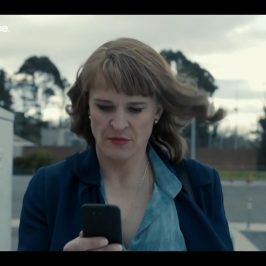 Secret City: Under the Eagle is written by Matt Cameron (writer/co-producer/creator- Sunshine, writer/producer- Jack Irish) and Belinda Chayko (showrunner/writer- Safe Harbour, story producer/writer- Barracuda) who both wrote for the first series and playwright Angela Betzien (Eggs, The Hanging) and Elise McCredie (Sunshine, Nowhere Boys). 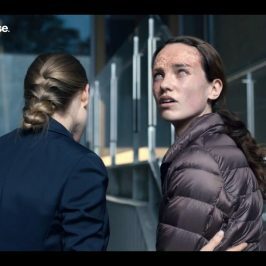 Stephen Corvini (Safe Harbour, Hyde and Seek) is producer for the series, Matt Cameron is showrunner and Executive Producers are Foxtel’s Head of Drama Penny Win and Drama development executive Carly Heaton and Penny Chapman from Matchbox Pictures. Secret City: Under the Eagle is directed by Tony Krawitz (The Kettering Incident, Devil’s Playground) and Daniel Nettheim (Doctor Who, Broadchurch).